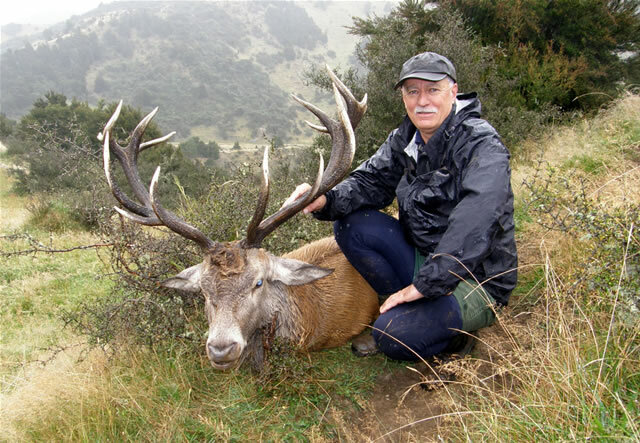 Management and meat hunts in New Zealand have to be one of the greatest by-products of the game estate trophy hunting industry. Deer species acclimatised inside a fenced territory do what deer do and as the years have passed generations have been born not knowing any other world, but the one created for them. It is their territory, and they know it like the back of their hand. The estate super gold, and gold medal heads traditionally don’t last long, but large numbers of born in the estate representative stags and herd animals often die of old age. Hunting outfitters are tapping into this situation, and hunters are the winner as the price for lower end hunts can be very reasonable. Many estates are also relatively close to cities and towns, so accessible to the general population seeking a short term hunting adventure. 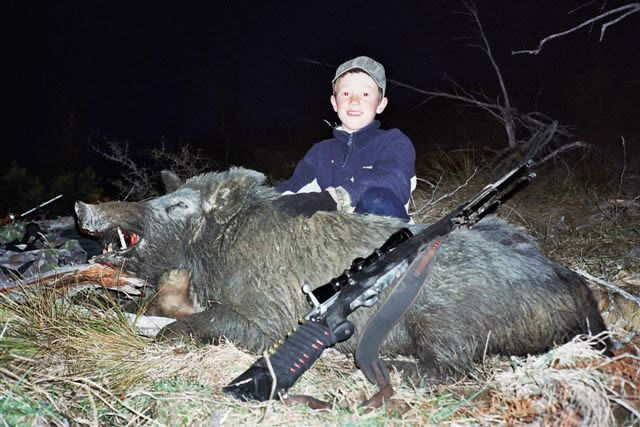 Father/child hunts are very popular. 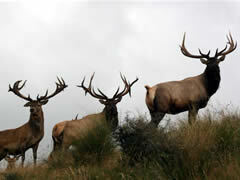 A management hunt tends to target stags, while meat hunts are just that, and focus mainly on female animals. 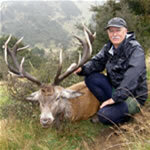 Where estate management hunts differ from free-range management hunts is that the estate management stag may still be very good by New Zealand trophy hunting standards (a royal), while the free-range management stag is usually more of a cull animal because of some antler irregularity. The genetics base placed inside individual estates is usually very good so the lower end of the available trophy pool can still be very good, and there are a lot of them, which is not the usual free-range situation. The estate ‘local” stags though are no easy beats as they were born wild in the estate not placed there. and all top estates are large in size. Good estates provide cover for animals to hide in, female company to form social groups, adequate food and water, and space to express themselves as wild animals. 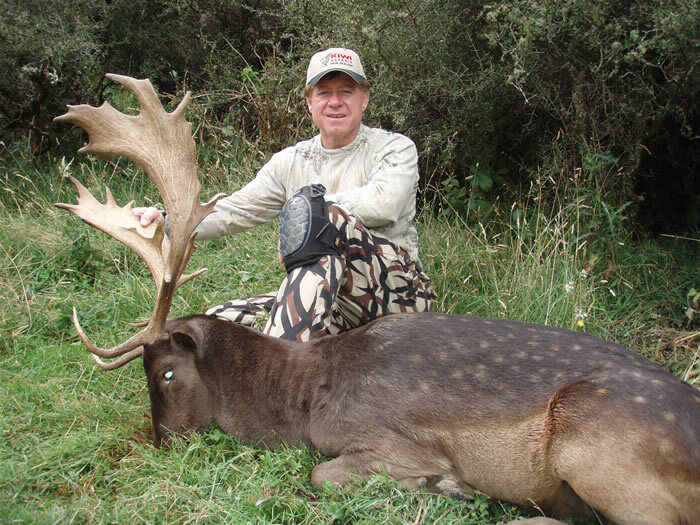 Over my next few Profile articles I will be looking at Estate management and meat hunts offered by some of New Zealand’s best hunting operations. Let’s start with the Hossack, owned by a consortium whose partners mainly live in the Christchurch area. The Hossack is a 24,000 North Canterbury high country station that extends long ways from near the central South Island tourist town of Hanmer Springs through a low saddle to the Clarence River in the North. Being narrow rather than wide in shape the dominant terrain features are one large, central valley, bush covered slopes, numerous side streams and creeks, and open, grassland tops. The history of the ranch dates back to 1852, when hardy pioneers first tried to tame the land, and luckily for hunters they were conservation minded individuals who did not cut and clear all of the vegetation. 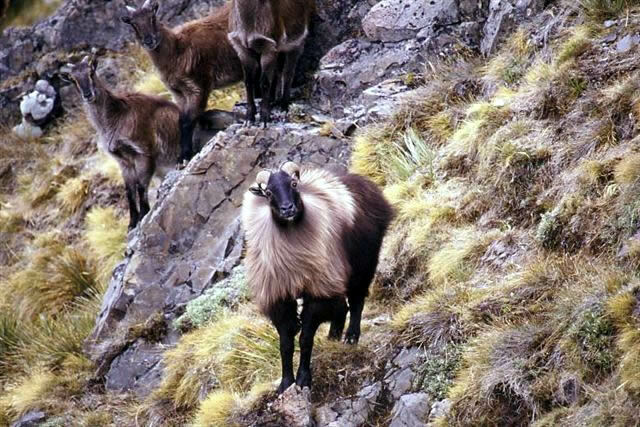 The region was always known for the quality of its free-range chamois, and red stag herds, but the herd numbers had taken a helicopter pounding and would take time to recover their pre-helicopter hunting numbers, and trophy quality. Hence the need for an Estate. 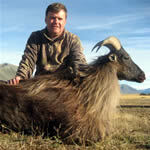 Free-range hunts are still booked, but the majority of overseas clients hunt inside the 2,000-acre game enclosure. John Angland is the name most clients will be dealing with when they book a hunt, and brother Jeremy is the head guide who most likely will guide the client. 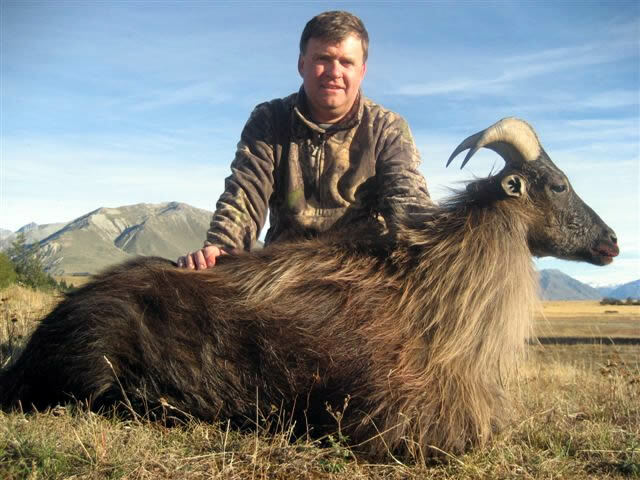 The Hossack offers guided trophy and management hunts only, though clients may take additional animals for meat after completing the primary objective of their visit. So what does a management hunt on the Hossack entail? 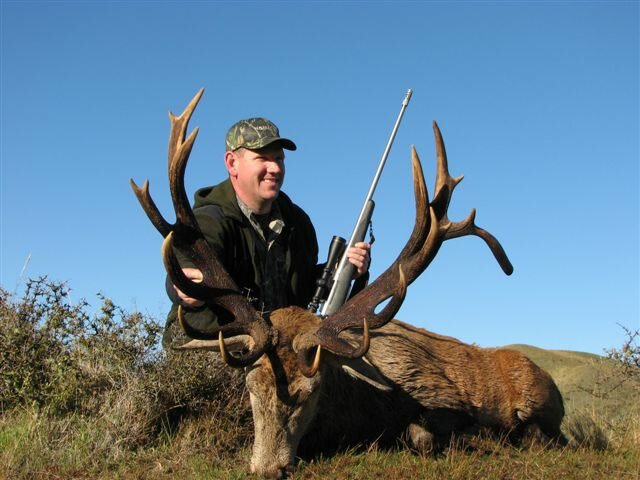 A client is charged NZ$1150 including GST for a born in the estate red deer stag which would be up to 12 points (a royal). In addition a guide would be NZ$500 a day which includes transport, accommodation and food. 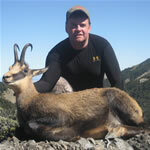 Additional cull hinds/spikers for meat would be NZ$230 including GST. 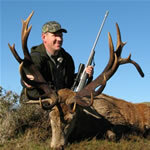 Meat deer are only offered to clients on a management stag hunt. The hunt is 2 days/1 night. 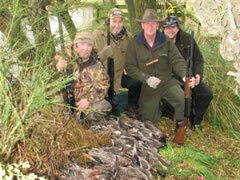 For 2 hunters/1 guide the daily rate is NZ$400 per hunter. 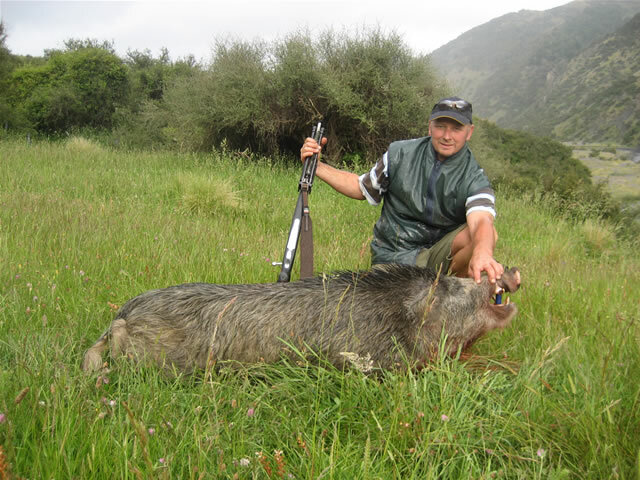 Management clients, if time allows may also cull some free-range wild pig sows at no extra cost once the stag is down. 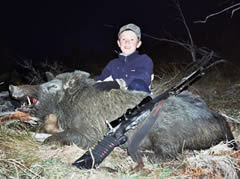 Hossack pigs are famous for their Canterbury blue ancestry, which is carried by the majority of animals on the ranch. Small game hunting is free, and clients occasionally cull some fallow hinds. The Hossack game estate is one of the best estates I have personally visited. 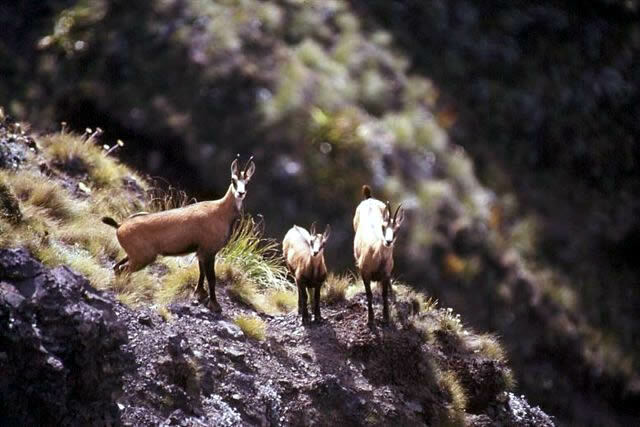 It incorporates bluff and cliff areas for chamois and bush, creek-bed, and open scrubland for the red stag. 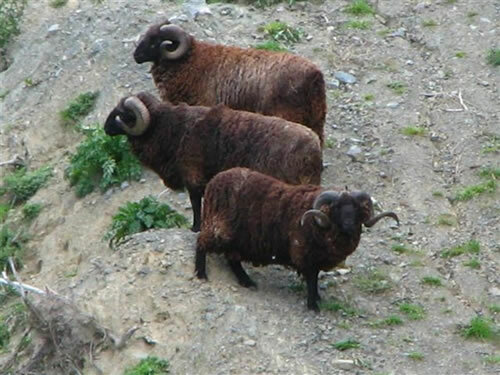 Many free-range red deer were trapped inside when the original fencing was done, and in addition local chamois from the property were caught and introduced as a further seed group. 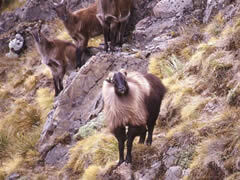 In 2004 90 well-bred hinds with calves, or in calf were added to the better wild stock already trapped inside. No supplements are provided, as the partnership wants the herds to be as close to free-range as possible. 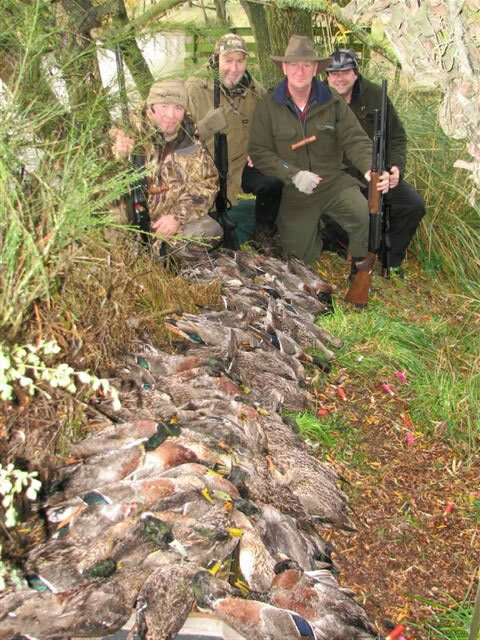 I visited the Hossack in April of 2010 to have a look at what they offered, and yes the property is one of New Zealand's hunting treasures. Jeremy Angland, the chief hunting guide of the operation, guided me. He is based in Leeston, so picked me up early one morning in Christchurch and two hours later we arrived at the ranch. Accommodation at the Hossack is in separate rooms with a central cooking and gathering area and as well there are two hunting huts on the property. Angland, a skilled professional knows the Hossack intimately and over the following days showed me all the free-range hunting hotspots this area held. 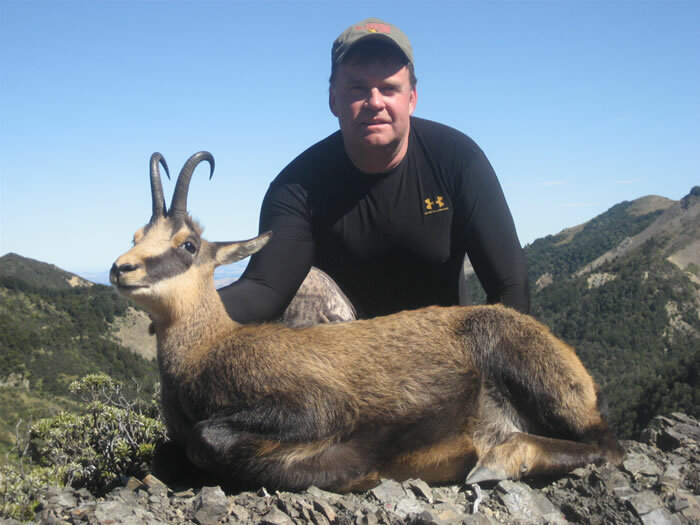 In addition to being a fit and expert kiwi hunting guide, Jeremy is a trophy hunter himself, an overseas hunting guide in his New Zealand off-season, and a regular visitor to Costa Rico where he owns some land. He regularly put me in positions to observe game. So what did I see? Over four days I saw numerous red deer, a handful of fallow, a dozen chamois, and thirty wild pigs. 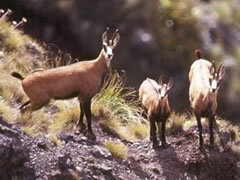 Chamois buck up to eleven inches have been taken on the Hossack, and red stag up to 14 points. The wild pig should also be mentioned in more detail as this region carries the unique Canterbury blue, which signifies the colouration of these animals, and the location many are found. They are silver grey, with white splotches, bluish or whitish when observed at distance. I was keen to get a real blue, though my first pig on this trip was a black Captain Cooker that walked out in front of us. On day two however I got my chance. We had climbed up high looking for the owner of some recent stag sign, but found only a lonely fallow spiker instead. On the way back down a movement in the matagouri caught my eye. Sure enough it was a blue, bum up and head down as he or she rooted the soil. It was an easy shot and she as it turned out never knew what hit her. The pig was enormous and a beautiful silvery blue in colour. 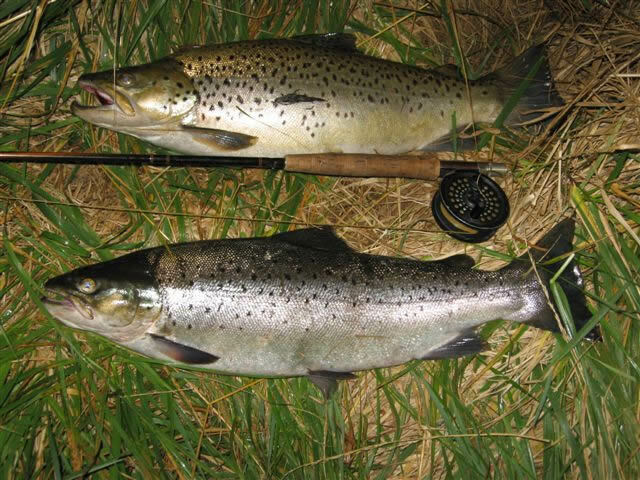 I frankly think this colour sub-species is a great hunting attraction in its own right. One big boar we saw way off in the distance appeared huge, but he mooched off while we watched. I also missed out on a 10 point free-range stag that mooched into the bush, and with only one day left it was at this point that we decided on our last day to take a management stag from the estate. 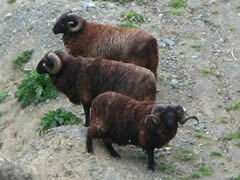 They had been going nuts while we searched high and low for their mate on the other side of the fence. Inside the estate I saw numerous stag up to 16 points, and 15 chamois including some good bucks. 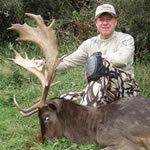 John Angland said a number of the best bucks have never been shot, and outwit all hunters bent on taking them. That is how hunting in an estate should be. 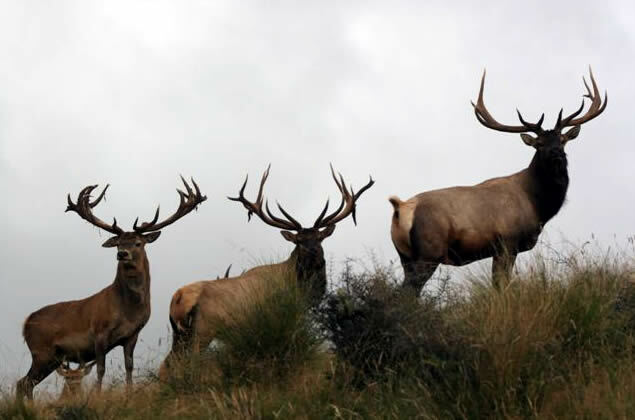 A Hossack management stag will have been born wild in the park, be 4 to 6 years old, have between 8 and 12 points, score low to medium bronze medal, be a big, solid animal, have good antler mass, be even with heavy, short tops, and will have provided the successful hunter with a real hunt. Rain swept in on my hunt, and time was slipping away as the southerly intensified. The only negative with an estate management hunt is that most stags are bigger than a royal so often turned down because they are too big rather than too small. In the last gully we spooked the stag we were seeking and I shot a neat royal that was very even, if a little short in the beam. A perfect management hunt scenario.